Skelsky cave located in Baydar Valley, was opened in the twentieth century, a local teacher. It is situated on the southern slope of the array Ai-Petri, close to the village Rodnikovoye. In 1960 he visited the cave karst expedition specialists, and in 1964 it received the status of a monument of nature. 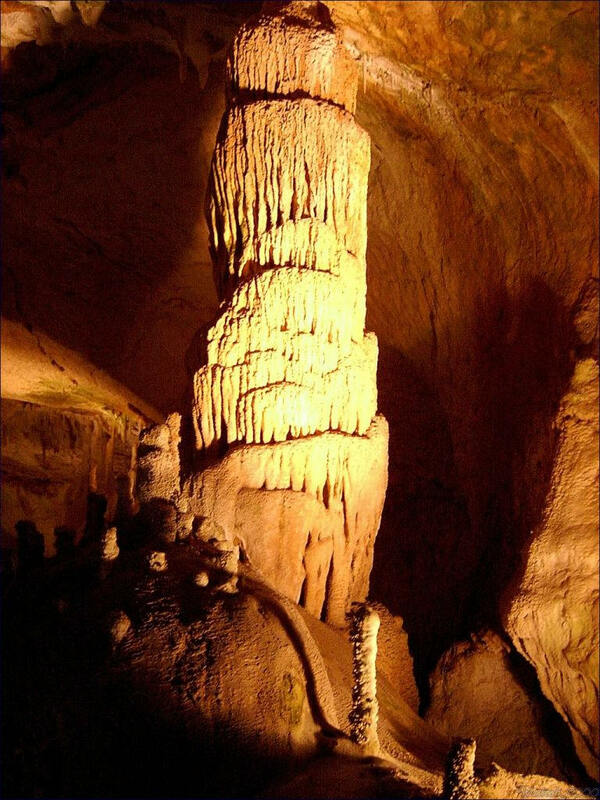 Formed Skelskaya cave, as well as many caves of the Crimea, as a result of the impact of groundwater - a few million years ago. 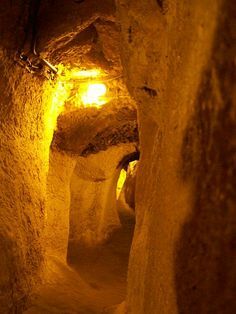 The cave consists of several well-preserved rooms, connected by transitions. Its area is about one square kilometer. The walls of the cave Skelsky intricately decorated with stalactites and stalagmites - wandering formations of calcite, which were created millions of years nature. 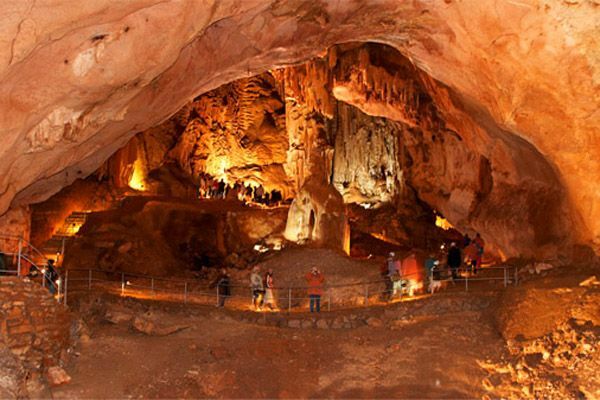 The second room is located seven-stalagmite caves - the main and most popular attraction Skelsky cave. Deep 45-meter vertical shafts connecting the lower and upper halls of the cave. The lower galleries are lakes and rivers flow. For tourist visits Skelskaya cave is equipped with recently - in 2011 there was the first time in the caves in the Crimea using special high-tech electrical equipment. The air temperature in the cave Skelsky, as in all the caves is not more than 10-12 degrees, and does not change throughout the year.